[According to the Holy Qur’an, peace, amity and brotherhood among the people are among the blessings of Allah, Correspondingly, the Divine wrath and punishments take different forms, including civil strife and “violence of one another”. In the last decade, Pakistan’s descent into chaos has been observed with deep anguish and profound sadness by the Messenger of Allah of our times, Hadhrat Munir Ahmad Azim Sahib (atba) of Mauritius. Time and again, he has warned the Muslim country and its religious and political leadership against the egregious violations of freedom of conscience, of basic human rights and the norms of Islamic propriety and decency in the country. Recent events from there confirm that country is in the grips of Divine wrath: the deer prophecies and warnings made by the Divine Messenger have been proved to be presciently true and correct. 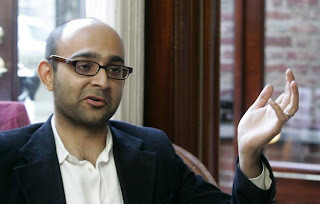 For the benefit of our readers, we reproduce below an essay on the cult of militancy in Pakistan from one of the leading writers from contemporary Pakistan, the Award-winning novelist Mohsin Hamid who is the author of the novels 'The Reluctant Fundamentalist' and the forthcoming 'How to Get Filthy Rich in Rising Asia'. The essay was originally written for, and published in, the New York Times. India’s leading newspaper, The Hindu also carried it on February 24, 2013]. On Monday, my mother’s and sister’s eye doctor was assassinated. He was a Shia. He was shot six times while driving to drop his son off at school. His son, age 12, was executed with a single shot to the head. Tuesday, I attended a protest in front of the Governor’s House in Lahore demanding that more be done to protect Pakistan’s Shias from sectarian extremists. These extremists are responsible for increasingly frequent attacks, including bombings this year that killed more than 200 people, most of them Hazara Shias, in the city of Quetta. As I stood in the anguished crowd in Lahore, similar protests were being held throughout Pakistan. Roads were shut. Demonstrators blocked access to airports. My father was trapped in one for the evening, yet he said most of his fellow travellers bore the delay without anger. They sympathised with the protesters’ objectives. In his Friday Sermon of 01 February 2013 the Khalifatullah Hadhrat Munir Ahmad Azim Sahib (atba) of Mauritius explained the Islamic attitude towards the ancient problem of slavery. Drawing upon the express verses of the Holy Qur’an and the traditions of the Holy Prophet (sa), the Messenger of Allah of our times demonstrates the spirit of human equality and empathy for the victims of slavery apparent in the teachings of Islam. In a world characterized by neo-slavery mind-set of modern men who consider women as chattels and sexual trafficking of women and girl children are everyday occurrences, the Islamic teachings are a reminder to the oft-blaming conscience of man. 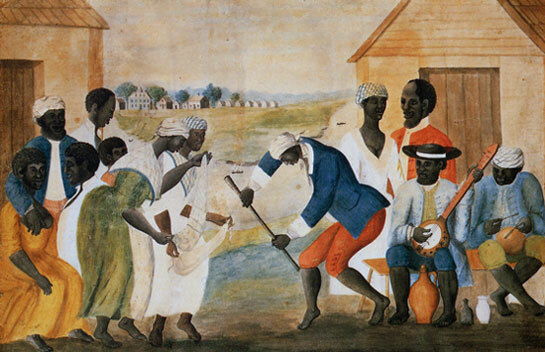 The year 2013 marks the 178th year since the abolition of slavery in Mauritius. Thus, every 1st February is a public holiday in Mauritius. A section of the Mauritian population is made of African originated slaves, thus the appellation of these types of people, Creoles. But as a generality, every Mauritian is known as Creole despite his or her religious or cultural background and beliefs, and our mother tongue is Creole. Both anti-Islam elements and mindlessly ignorant critics have long called attention to the multiple marriages of the Holy Prophet of Islam (sa), in an effort to tarnish the sublime spiritual life of the father of Muslims and to decry that Islam has no space for women’s dignity and rights. Nothing can be further from the truth. For history and traditions of the Muslims testify that the Holy Prophet of Islam (sa) elevated the status of women in society through his precepts and practices. If one cares to examine the historical record in its entirety and the material circumstances of the events of the Prophet’s marriages and the times in which such marriages happened, one could come to an intelligent conclusion-that Islam and the Holy Prophet (sa) upheld the dignity and rights and status of women in society. In his Friday Sermon of 25 January 2013, the Khalifatullah Hadhrat Munir Ahmad Azim Sahib (atba) of Mauritius continued his exposition on some important aspects of the life of the Holy Prophet of Islam (sa), a theme he began in the previous week. The Sermon especially provides profound insights on the attitude of the Holy Prophet (sa) towards women and the circumstances of his many marriages. In a fractured and divided tribal society, where women’s lives were considered cheap and disposable, the Prophet’s marriages brought dignity to vulnerable, widowed women and protection to their young children, mend the faultiness of tribal discord, raised the status of slave women, provided unique opportunities for the training of the Ummah on religious values and norms, points out the Messenger of Allah of our times. Islam has over the centuries been both commended and criticised concerning the rights of women in society. The modern westerners flaunt the so-called liberty of their women folk before the world, and in their ignorance falsely allege that Islam reserves an inferior place to woman and that she is more of a slave than a person of equal status to man. Whilst the world before Islam casted women as a lowly thing, with the advent of Islam the woman regain her true identity as excellent servant of God, and man’s great treasure, help and equal.